PETALING JAYA: Amcorp Properties Bhd is the latest to venture into the London property market. The company announced that it had entered into a joint venture (JV) to acquire a freehold property in London via wholly owned subsidiary Old Burlington Ltd (OBL) with NL (Pollen) Ltd and HPL (Mayfair) Pte Ltd. The company's investment portion would amount to a maximum of £23.75mil (RM117.6mil). OBL, together with NL and HPL, formed a JV company to acquire the property from Standard Life Assurance Ltd for £85mil. The JV company, Ten Acre (Mayfair) Ltd, plans to redevelop the property for residential use. A further £5mil will be considered for the conversion of the property for that purpose. In a filing with Bursa Malaysia, Amcorp Properties said Ten Acre's major shareholder was HPL, with a stake of 65%, while OBL and NL would respectively hold a 25% and 10% stake. The property is located east of Mayfair, which boasts as a prestigious retail and residential area in London. “The property comprises a mid-terraced, Mayfair office building totalling 83,024 sq ft of commercial accommodation over basement, ground and eight upper floor levels. The ground and basement comprised restaurant and gallery tenants with office accommodation on the upper floors,” said Amcorp Properties. Ten Acre intends to acquire and manage the property in two stages. The first of which is to secure a high quality residential led scheme. The second stage will see the development, marketing and sale of the completed units at the property. OBL's £23.75mil investment will be funded via advances from Amcorp Properties. “Amcorp Properties intends to finance its portion of the capital contributions via internally generated funds of Amcorp Properties and its subsidiaries,” the company told Bursa. The building was constructed in the 1930s, and was subsequently refurbished in the 1980s. Kenanga Investment Bank head of research Chan Ken Yew said Malaysian companies were taking advantage of the weakness in the pound, coupled with the trough cycle in the London property cycle. “Additionally, London's common law is similar to our common law. Therefore, it is easier to adopt their law as compared with other countries,” he said. In its note to Bursa, Amcorp Properties said it intended to continue the expansion of its property portfolio in central London, based on its profitability in the London property market in recent years. 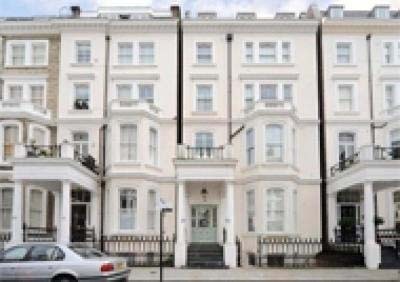 In late 2010, Amcorp Properties had acquired a residential property with 10 self-contained apartments in Lexham Gardens, London via its unit Riverich Ltd for £7.3mil. The company said the rental from the property provided a sustainable recurring income. According to the company's website, the rental yield for the property is about 4%. In a separate note, adding to the foray of local investments into the United Kingdom, Malaysian consortium consisting of SP Setia Bhd, Sime Darby Bhd and the Employees Provident Fund officials recently announced plans to develop the Battersea Power Station for £8bil. Lembaga Tabung Haji was also said to be finalising its first commercial property acquisition in London, estimated at £165mil. The proposed acquisition is expected to be completed in September. It is also noteworthy that Genting Malaysia Bhd is investing £120mil to develop a leisure and entertainment complex in Birmingham. Chan added the return on investment for companies investing in the UK property market arena will bank on the economic situation. “If the economic situation is good, companies will find that it is time to harvest their investments. Now, it is time to sow them,” Chan said. Trading of Amcorp Properties' shares on Bursa was halted from 9am to 10am following the announcement on Wednesday. The share closed 0.5 sen up to 50.5 sen at 5pm yesterday. KUALA LUMPUR: Amcorp Properties Bhd's wholly-owned subsidiary, Old Burlington Ltd, has entered into a shareholders' agreement with NL (Pollen) Ltd and HPL (Mayfair) Pte Ltd, to purchase a freehold property in London. In a filing to Bursa Malaysia, Amcorp Properties said following the agreement, the maximum funding commitment to be made by Old Burlington is STG23.75 million (RM117.6 million) as its share. "The three entities have agreed to form Ten Acre (Mayfair) Ltd, a joint-venture entity, whereby the agreed proportion of shares would be 10 per cent for NL Pollen, 65 per cent for HPL Mayfair and 25 per cent for Old Burlington. "The property, located in central London, comprises a mid-terraced, Mayfair office building totalling 7713.18 square metres of commercial accommodation over basement, ground and eight upper floor levels," it said. The group said the joint venture would allow it to foray into the larger property investment opportunities in prime central London, while expanding its property portfolio there. On the source of funding, Amcorp Properties intends to finance its portion of the capital contributions internally and through its subsidiaries. "The joint venture is expected to contribute positively to the future earnings and growth of Amcorp Properties," it added. SINGAPORE: CapitaLand Ltd sees residential sales in China improving for the rest of the year, helped by expectations of a turnaround in the world’s second-largest economy. CapitaLand, about 40 per cent owned by Singapore state investor Temasek, said the number of homes it sold in China in the second quarter more than tripled to 812 units from the previous three months, boosted by a rebound in buyers’ sentiment. “We’re seeing a lot of pent up demand and seeing a lot of people committed to buying properties now, having stayed away for the last one and a half years,” Jason Leow, CEO of CapitaLand’s China unit, told a briefing of media and analysts. JOHOR BARU: Iskandar Regional Development Authority (Irda) is looking at having more theme parks in Iskandar Malaysia. Chief executive officer Datuk Ismail Ibrahim said the development of the new theme parks could be at other zones in Iskandar and not necessarily in Nusajaya. “It will be better to have different theme parks to cater to different segments of visitors rather than just having one or two in our development,'' he said. Ismail was speaking at a briefing on the RM115mil Puteri Harbour Indoor Theme Park@Nusajaya. Nusajaya is one of the five flagship development zones in Iskandar's 2,217-sq-km region the others are JB City Centre, Eastern Gate Development Zone, Western Gate Development Zone and Senai-Kulai. 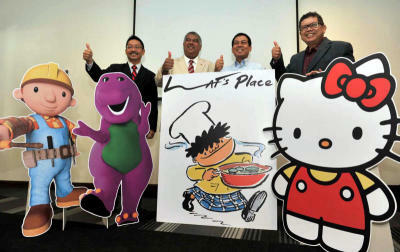 Also present at the event were the theme park operator Theme Attractions and Resorts Sdn Bhd (TAR) managing director and chief executive officer Tunku Datuk Ahmad Burhanuddin, chief development officer Muhammad Zainal Ashikin and famous cartoonist Datuk Mohd Nor Khalid, better known as Lat. TAR is a wholly-owned subsidiary of Khazanah Nasional Bhd formed in June 2009 to develop, manage and operate theme parks and attractions in Malaysia. “Florida in the United States is the best example where there is a collection of several theme parks attracting different sets of visitors,'' Ismail said. He said while Legoland Malaysia Theme Park and Puteri Harbour Theme Park catered for children, it would be good to have a theme park that catered for adults. Ismail said the existing and the new theme parks in Iskandar should offer a wholesome fun and entertainment for the whole family. The RM750mil Legoland Malaysia is the first Legoland in Asia. Built on a 23ha site in Medini, Nusajaya, it is a joint venture between Merlin Entertainment Groups and Khazanah's 60%-owned Iskandar Investment Bhd. Legoland Malaysia will open its doors to visitors on Sept 15 while Puteri Harbour Theme Park in November. GEORGE TOWN: Penang Barisan Nasional wants the state government to reveal the facts and myths on low and low-medium cost houses constructed since 2008. Its publicity bureau chief Tan Cheng Liang said the state government was diverting the Taman Manggis land sale issue and confusing the people. She said Chief Minister Lim Guan Eng was explanation on the Taman Manggis land sale because he had made a blunder by saying the land was too small for housing development. She said Penangites were still in doubt about the Taman Manggis land sale. "He has not answered the questions raised on the issue until today," she said, here. Barisan coordinators for the Batu Lancang, Sungai Puyu and Komtar state constituencies and Bayan Baru parliamentary seat on Thursday also joined hands to brush off Guan Eng's claim of Barisan not building low-cost houses when it was in power in Penang. Guan Eng was quoted by Chinese newspapers as questioning why Barisan raised the issue on low-cost housing since it did not undertake the initiative when in power. Batu Lancang Barisan constituency coordinator, Lee Boon Ten said the statement was incorrect because Barisan had constructed 35,761 units of low and low-medium cost houses from 1990 to 2008. "During that period too, BN provided 4,615 units of low-cost flats under the rent-and-purchase scheme for needy families. It also approved 33,514 low-cost houses for construction in Penang from 2004 to 2008," he said. Lee said Barisan, if returned to power in the general election, would be committed to building 20,000 units of low cost-flats and implementing the rent-and-buy scheme within a period of five years at a cost of RM1.5bil to alleviate low-cost housing woes in Penang. He said according to the 2010 Auditor-General's Report, the Pakatan Rakyat government did not implement any new low-cost housing project between 2008 and 2010 despite receiving 152,702 applications. SYDNEY: House prices in Australia's major cities recorded a surprise increase last quarter, the first in more than a year and perhaps an early sign that recent cuts in interest rates are stabilising demand in what has been a very subdued market. Yesterday's figures from the government showed prices for established houses in the major cities rose 0.5% in the second quarter, beating forecasts of a 0.5% fall. The first quarter was also revised to show a slight 0.1% dip, compared with an initial 1.1% drop. Prices were still down 2.1% on the same quarter of 2011, but that was the slowest pace of decline in more than a year. The index of house prices was also just 4.7% below the all-time peak hit in 2010, a far smaller drop than suffered in say the United States or Britain.